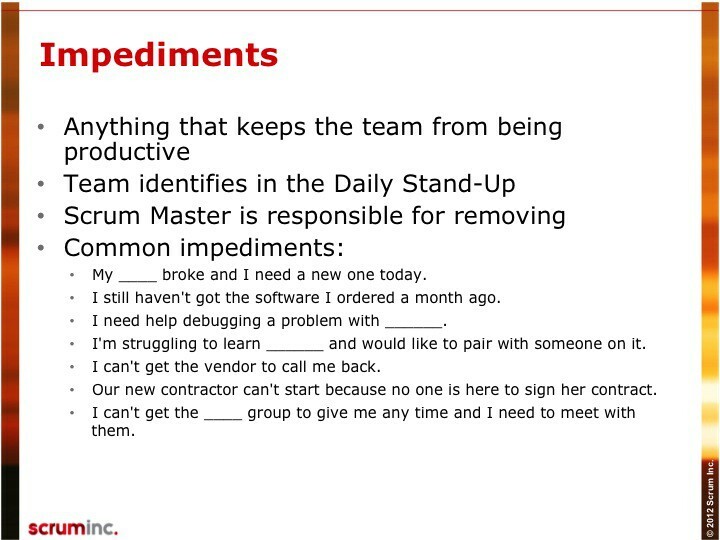 Impediments | Impediment | Blocking Issue | Blocker | Scrum Inc.
An Impediment is anything that keeps the Team from getting work Done and that slows Velocity. Impediments come in many forms: a sick team member, a missing resource, lack of management support or even a cold team room. If it's blocking the team from doing its work, it's an Impediment. Most Impediments are a form of Waste and can be identified by understanding waste in all its forms. 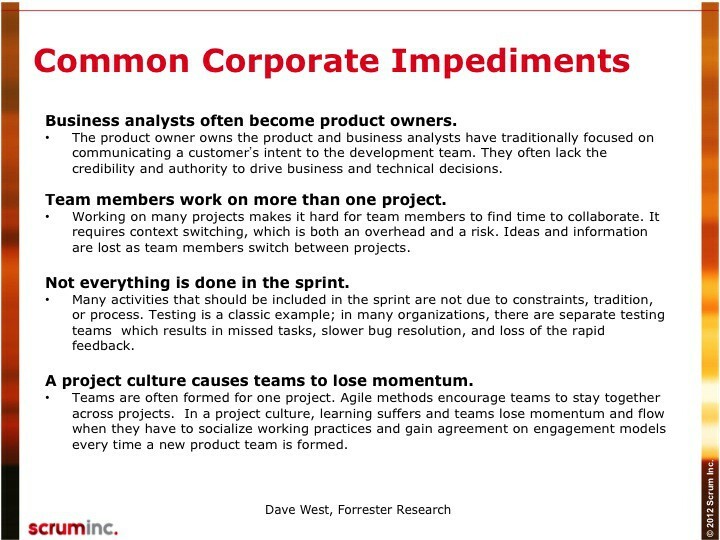 The slides have a list of common Impediments Teams often run into. The Scrum Master’s main responsibility is to identify, track and help remove impediments. Often, team members remove their own impediments. Sometimes, Impediments are beyond the ability of the Team to remove. In that case, the Scrum Master may have to get support from outside of the Team. Everyone on the Team shares responsibility for identifying Impediments. All Impediments should be flagged during the Daily Scrum. 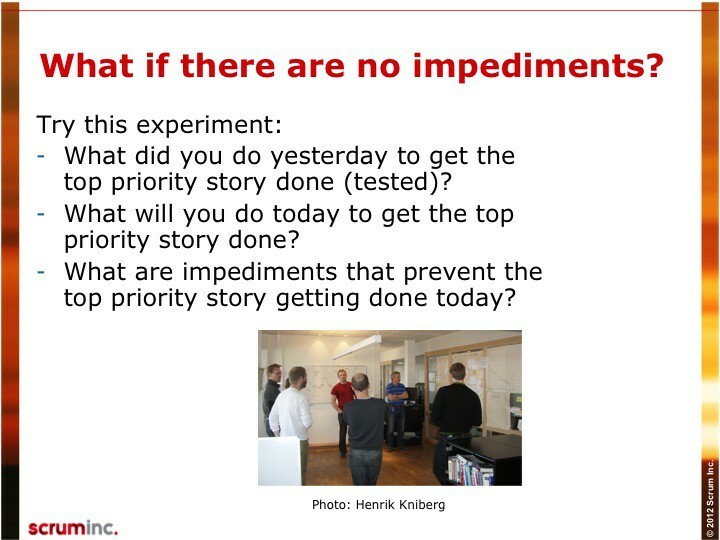 Reoccurring Impediments should be dealt with during the Sprint Retrospective. If an Impediment just won't go away, the Team probably hasn't identified the root cause and should begin the A3 process. It is vital for Teams to continually identify new impediments. This is part of a key concept in Scrum: continuous improvement. Not having a clearly identified impediment for the team to work on is itself a major impediment.